The past few months have kept me away from Second Life, as so many of you have noticed — and from blogging in general; there is simply way too much for me to deal with on a daily basis that there has been little time left for anything else! Well, not quite. Against my own better judgement, I’ve been using Facebook a bit more, on my three accounts. Yes, three 🙂 They have different uses and different audiences; one day, I’m sure that Zuckerberg will delete them all, and I’ll be a much happier person. I’ve long since explained how I find Facebook one of the best game distribution platforms ever created, specially when thinking about community/socially-enhanced games. They’re free and most are addictive. Well… for a while, at least. Not being really a “gamer” type, I turned to Facebook games because they’re not really demanding. There is just a little that you can do every time anyway; all of them have a set “energy” limit, so you can just play for, say, half an hour, and then you either have to “buy” more energy (and that means a real sale; companies making those games, like Zynga, expect players to “power up” and pay for the privilege), or wait several hours to “recharge”. For a while, this can be very fun and entertaining, because it’s a different experience from pre-Facebook games. I’ve pretty much grown up when computer games were something you bought on a tape, and you’d pay for a copy, which you could then play for as long as you wished. This model endured for decades; it’s still what most “serious” gamers would be familiar with. BBSes and later the Internet brought the “shareware” variation: download the game, play for a few hours or days, and if you like it, you just buy (online) the full version. It’s a variation of downloading a “demo” (popular in the late 1980s) and only then buying the game. Shareware games, under whatever new and fancy technology has been devised to deliver them, are still very popular. Facebook games introduced the concept of “pay-to-cheat”. There is a twist: if you’re insanely popular and get zillions of friends to play the same game with you, as part of your “team”, you can cheat without paying. If you’re socially impaired (which in Facebook terms means that you don’t add every other person popping up on your page), you only have the option to pay to “power up” your own gaming experience. As a novel concept, I think it’s actually very interesting. I don’t like it, but I recognise the appeal of that business model. After all, as an old-time Second Life user, doesn’t SL work in a similar way…? If you’re good at creating content, you can buy other people’s content with the money you earn. If not, you can exchange US$ for L$ and buy content as well. So it’s similar, with the difference that Facebook games don’t really require any skill, talent, or creative abilities, just the “skill” to bring over as many friends as you can. My current problem with those games is, in my opinion, that the game designers behind them are really limited. Most games are appealing at the earlier stages; but after a while, it’s just the same old grind. More levels, more items, more things you can add, but it’s always the same mechanism, always the same environment, always the same things to do, over and over again. When you’re at Level 108 on Sorority Life, what is the “novelty” then? Sure, you can do more things, have lots of more outfits, and Playdom cleverly designs new “settings” every three months or so to keep people interested in the game, but that’s all there is: the new settings have slight variations on the overall concept, but not much. Last weekend I had dinner with some friends & family, and one of them — a journalist — at some point exclaimed “the world happens in Facebook!” What she meant is that information, rumour, and gossip travel the world very quickly through Facebook. It’s very likely the world’s largest meme-spreading environment. And the way you can link to pretty much every kind of media very quickly, and “like” what you’ve seen/read/watched, is quite cleverly done: although now you have several copy-cats, the truth is, Facebook’s developers saw very well how people like to share information, and placed the appropriate tools in their hands. Among the 600+ million Facebook users, specially the younger ones, this is pretty much the only “social networking experience” they have ever had, so they have nothing else to compare with — except texting on mobile phones. For the vast majority of them, they will not even know what is missing from Facebook, and for me, the #1 issue is simply this: no searchable history. Consider that, in the near future, Zuckerberg has his way and Facebook replaces all blogs, forums, search engines, email, and dating sites. With its extraordinary ability to link to pretty much any kind of digital content, it might replace not only YouTube or Last.fm, but even remote storage solutions (from Google Docs to Dropbox). The big question now is: how does one manage all that information? Traditional computer-based storage uses an abstraction of “directories” or “folders”, where content gets classified according to the user’s preference. “Albums” are popular with collections of photos; videos tend to be sorted into “channels” or “streams”; email, besides folders, can be “flagged” or “labeled” as well. Each new site/technology might introduce a new abstraction to deal with classification, but these are just a few variations on the theme. Google was perhaps the first company to break with this tradition (or at least the major company doing that). Instead of letting users manually categorise their digital content, by filing it manually, item by item, Google proposes as an alternative very fast searching. Content doesn’t need to be “organised” so long as a few keywords can retrieve it quickly; of course, as Google is the world’s leading developer of digital content search engines, they naturally are pushing for that paradigm. But its influence isn’t limited to Google-specific applications and tools. All modern operating systems have a way to quickly discover content using a search mechanism. I was surprised to see how some Apple users never bother to open up folders, not even to launch applications, because Apple’s Spotlight is so blindingly fast — much faster than a human navigating with a mouse through a pile of folders and sub-folders (I understand that Windows 7 is using a similar approach as well): typing a few letters will instantly provide you with a link to the application or document you have in mind. The Web would be useless without search engines. In fact, some of my older readers might remember the Web before search engines became popular. It was next-to-impossible to find anything, even though it was so easy to link among sites; “portals” were then the solution: huge popular sites that mostly had thousands of links to many other sites, and would often let people search through them. Yahoo was launched as a mailing list with a daily digest of popular sites (who does still remember that? I wish I had made copies of the emails from those early web days!) and soon moved to become a “catalogue site” (where links to websites were categorised and grouped together), which later became a “portal” and then a search engine on its own. So, cataloguing or searching were the means to make the Web accessible. 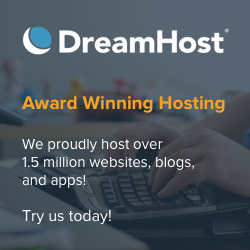 Data that is simply stored on servers is just that: data. To become information, it needs both to be useful and retrievable. There is a simple, practical relationship with information: we simply need a way to get hold of it. Now, Facebook, somehow, doesn’t address this issue. Sure, there is a search thingy; it’s useful to locate people, groups, and applications, but little else. Google obviously does a good job of indexing Facebook, but it fails to capture the richness of the information actually stored there. Suppose that you’re following some thousand people on Facebook and one of them posts an amazing link to a video about how to do risotto in the traditional Italian way. Two weeks later, a friend of yours mentions that she would love to have dinner at your place and try your risotto. How will you find that link again? Typing risotto on the search engine will just give you a list of groups of risotto fans, as well as lots of people named Risotto… Sure, Facebook nicely adds a few results from Bing, but most of them will lead to external sites, not to Wall posts/comments on Facebook itself. Why not? If you get all your friends’ notifications by email, at least you can search there (assuming you’re not as bad as I am, with over 300,000 messages spread among two “main” mailboxes; fortunately, both are stored at Gmail, and Google is blindingly fast at searching through them, but… sometimes, it also misses a few messages). But that pretty much spoils Facebook’s usefulness. In fact, I’m almost scared that one day Facebook messaging totally replaces email; Facebook messages are not searchable, you can’t group them into folders, you can’t even label/flag them! And they have this tendency to disappear. How can I trust Facebook to keep my messages around for, say, another 5 or 10 years? I certainly search every day through documents on the Web that are older than that; and I have all emails received on [email protected] since I opened that mailbox on Google Mail, in the summer of 2004. Suppose that after wasting your time manually searching through your friends’ Walls, as well as all messages you’ve received, you suddenly realise that you didn’t see that link on a Wall at all, but on Facebook chat! Now what? Chat is not stored across sessions… well, it is, but just a few lines remain from the last conversation, and even those will disappear after a few weeks (months? days? I have no idea). Also, although you can group your friends together, I haven’t still found the option to show all your friends and not only the ones that are currently online. In fact, the whole Facebook Chat interface looks suspiciously like Ajax IM (which predates Facebook Chat by several years), and I always suspected it was a quick hack with some well-designed HTML+CSS on top of it. Now let’s imagine that you actually want to use Facebook as a collaborative environment. Since you can upload images and videos (and I’m sure that someone has already created a Facebook application to store any kind of file on Facebook), it seems to be plausible to use it, in some future time, as a way to collaboratively share documents with co-workers and clients, for example, and neatly put everything in the same basket to make it easier — everybody has a Facebook account, and wouldn’t it be so simple if you could just write up a document, share it with close co-workers, and then, when it’s finished, share it with your clients as well? Unfortunately, that’s simply not the way Facebook works. You can somehow have four master categories (“Everyone”, “Friends”, “Friends of Friends”, “Yourself”) and group friends together, but there is no easy way to set permissions for a specific group. You can create a Group, and assign friends to it, and all information shared there will only be seen by its members. Facebook Groups are like Pages: pretty much like user profiles, but not quite. And Facebook applications can have limited interaction with user permissions. So in theory you could have a file sharing application with a built-in search engine, assign it to a Group, and share things from it. But if you have two different groups — say, one for all employees working for Client A, another group for Client B — how can you share things among both groups? You can’t; you can only create a new group (let’s call it “AB”) and upload all information again. Now it’s up to you to keep everything in sync. You may think that this is way too much to be expected from Facebook, and you’re right. Facebook is simply not designed for collaborative work, but for short-attention-span ego-promotion. That’s what it’s good for: to record, for a brief time, a flurry of “information” (with or without attached media) which has just a limited duration in time and momentarily catches your friends’ attention. And then, that information simply goes away. Even ads go away with a page refresh. To conclude, I think you’re seeing what I’m getting at. Zuckerberg’s bold claims that “Facebook will replace the Web” assume somehow that everything that people do on the Web is dating (the original purpose of Facebook! ), sharing things which they will never bother to retrieve ever after, and short-term messaging without any need of archival and search. While Facebook applications can, to a degree, compensate for the lack of features that Facebook refuses to provide, they have their own limits regarding complex permissions and relationships between information/digital content and its intended audience. There is simply too little overall control — not to mention the uncanny Terms of Service that somehow imply that all your content belongs to Facebook, even after you delete your account (even if Facebook recently dropped messages all over the Facebook backoffice claiming the contrary). 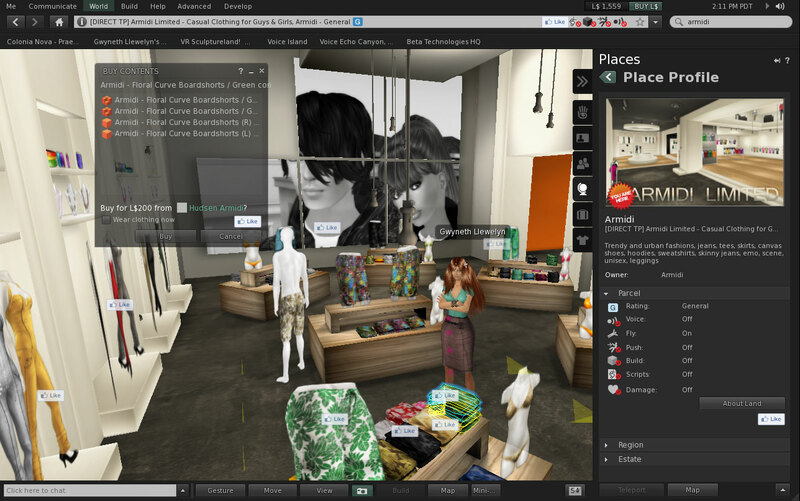 Now contrast that with a true collaborative, social environment like… Second Life. Well, we all get frustrated every day because the permissions system has flaws and that IM Group Chat fails way too much (although a permanent fix is under way, as IMs are being implemented over Jabber/XMPP). You still cannot share the same item with two groups, for example (you have to make a copy of the item first). In-world search, while almost workable under the SL 1.23 viewer in 2009, seems to be rather worthless these days under the SL 2.X series. Searching for an item in your inventory — even though you can at least drop items into folders — is also a pain, because you can only search for the item’s name, and filter through types. It’s hardly the perfect “collaborative environment”! We need so many more inventory search options. What LL needs to do — and they’re far more likely to do it than Facebook, because they simply have a different agenda — is to try to think how other social networking tools work, and replicate it in the SL viewer. Friends should be groupable into folders or categories. We were supposed to do that with calling cards, but I’m not even sure if that option still existe under SL 2.X (I certainly keep hundreds of old calling cards around, some of them grouped into folders). While we’re at it, why not implement region-based inventory folders, which would add outfits to visitors? Also, landmarks should somehow have folders available on the navigation bar, to make the SL 2.X viewer series even more similar in functionality with modern Web browsers. It makes little sense to download all the SL inventory of a user to the local filesystem, but provide a very clumsy directory-based service inside the SL viewer; why not let people use their native filesystem tools to organise folders and search for items? I mean, it’s not as if the inventory actually contains the items, it just links to them. The SL Viewer’s “inventory browser” has never been perfect; after a decade of development, I still can’t get it to properly sort by date, and stick with that setting between sessions, no matter how many open JIRAs exist on the subject. Items need searchable tags or keywords to make them easier to find. There should be a way to group outfit items together, for example, and add “preview” icons for every object you buy — imagine a natively-implemented inventory folder where you could quickly scroll through all items there and see exactly how they look like (well, just like IMVU for example, even though IMVU also implements their own inventory browser). While LL follows the Unix philosophy (every item “belongs” to a group and/or a user; users can belong to several groups) with permissions, perhaps at some point they will need to implement items set to multiple groups and allow fine-tuned permissions for each. And a lot of new suggestions for folders have been made on JIRA. Groups also need shared folders just for them, a long-discussed idea, but which I didn’t find on JIRA, so I’ve just added it: the purpose is to have a Library-like folder that is “mounted” by all members in a group (the same items appear on all members), subject to role permissions (read/write). This would be a bliss for announcement/merchant groups, and of course for everybody engaged in collaborative content creation: just drop an item on that folder, and all group members (with the proper role) would have instant access to it. And what about supporting other file types? Linden Lab has long since been very, very reluctant to do so, mostly because of virus, trojans, and all sorts of nasty things that could be shared that way — and in some cases this could make Linden Lab liable for being the “carrier”. But if the SL inventory is actually implemented directly on top of the native filesystem, all anti-virus and anti-malware software could automatically deal with those risks. LL would be as liable as, say, Basecamp, Google Docs, Dropbox, or any similar online file sharing system. The purpose of this is to allow friends and co-workers to simply share whatever files they need with their friends, colleagues, clients, without the need of knowing someone’s email address (or whatever login they use on popular file sharing environments). A neat trick would be the ability to drag a file from inventory and drop it on a prim: if a Media Plugin exists for that file type, the prim would display it with the underlying WebKit-based web browser. Now imagine how easy this would be with full native filesystem support: you just drag a PDF from your computer’s filesystem on top of a prim in a meeting, and everybody would be able to read it. Neat, right? Well, that’s what a 3D collaborative environment is supposed to be for! You see, with searchable IM logs (right now, you can search them outside of SL) — nay, make that better overall searching tools — and a bit better inventory/group support, SL can actually be a far better solution than Facebook for a collaborative, social environment. The challenge here is to think and plan ahead in what kind of 3D environment we wish to be in 2020. If SL becomes the “3D desktop integrated in the 3D Web”, only a few tweaks are actually required; all the above feature requests are not exactly rocket science (they just need heavy debugging) and relatively easy to accomplish using existing technology. If LL is willing, I actually think all the above can be accomplished faster in Second Life than in Facebook (mostly because, as said, Zuckerberg’s agenda runs contrary to it).